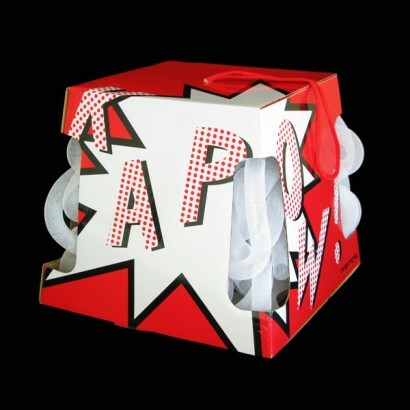 Kapow is a looped and elasticated explosion of acrylic tubing. 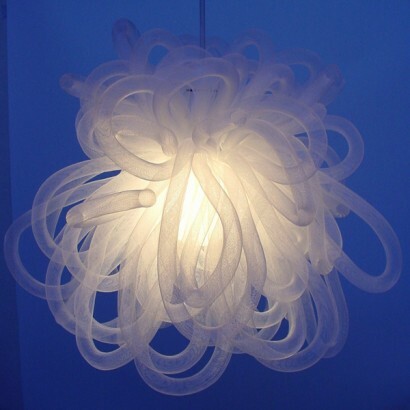 Best suited as a pendant shade, this shade really packs a visual punch and is a definite deviation from the norm. Beautifully gift boxed (see above) it would make a great gift. Use with standard energy saving light bulbs with a maximum wattage of 15w. After searching for ages for new lights for both my boys room I came across The Glow Company and the fantastic Kapow light, they are as brilliant as they look online and finish of my boys room. The words my 2 used were amazing, funky and awesome!!! !